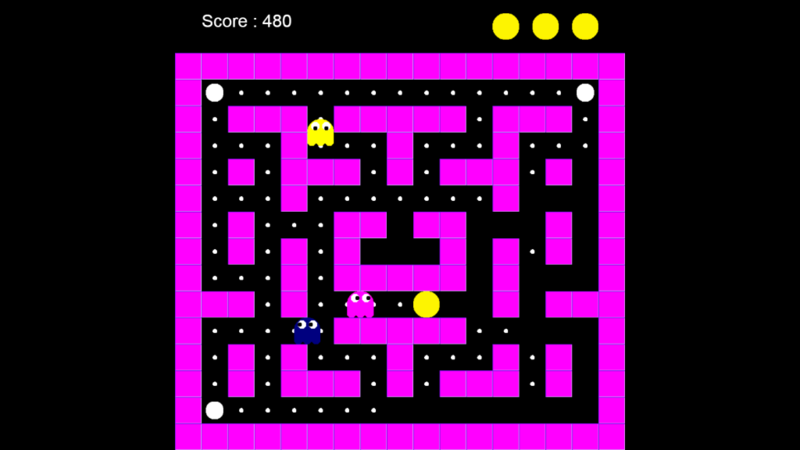 This template is an implementation of the Pacman game (this name is copyrighted so no one is allowed to use it for a finished product except the owners of the name), made with Construct 3. The template is fully commented. It was made before the behavior “Tile movement” existed and so it shows how to implement such a behavior with the events system. Eat all the dots, avoid touching the ghosts. 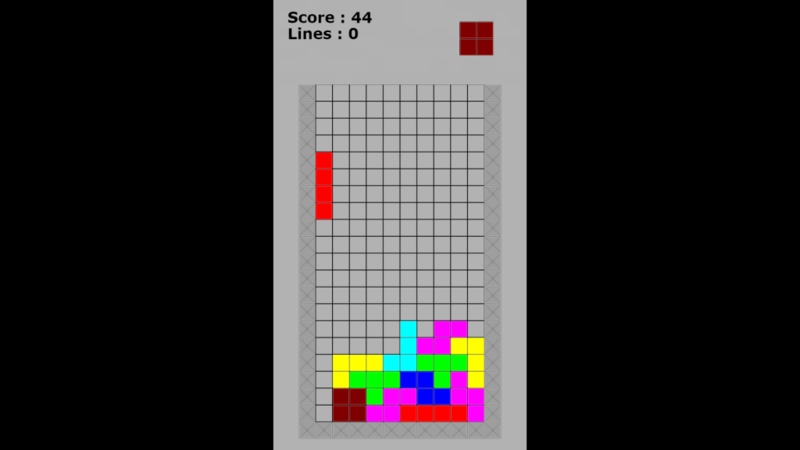 This template is an implementation of the Tetris game (this name is copyrighted so no one is allowed to use it for a finished product except the owners of the name), made with Construct 3. Fully commented, it shows how the game was made using some behaviors like 8-direction and solid to handle the shapes and placement of the shapes to complete lines. It looks like I’m about to complete four lines at once ! This template is about a driving game where you need to avoid cars you go by and cars coming at you from the opposite direction. 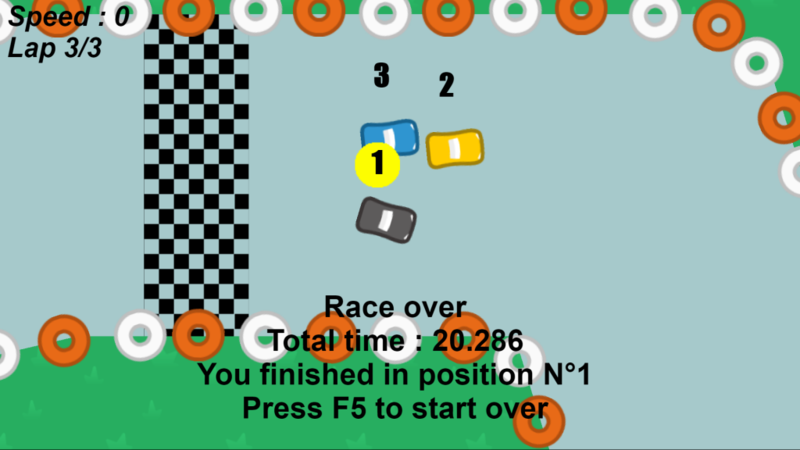 The player switch his car from lane to lane, scoring points the longer she goes without colliding with another car. A template made in the limitations of the free edition for this very arcade type of game. A template I had started working on during the period I was able to test Construct 3 in beta version (before public release) in Scirra’s HQ in London. I finished it a year later, once C3 had been publicly released and already had matured. This is a race driving game in which you are racing against 3 other cars controlled by the computer. During the race, the rankings of the race are displayed. The race went for three laps and the car of the player ended in first position. This is an advanced template, there are complex elements bundled together. The template still fits in the free edition limits. AI cars go through waypoints in order to follow the track. Checkpoints are there to help out with the current rankings of the cars, accordingly to the number of laps they already went through. One of the first templates I made for Construct 3. 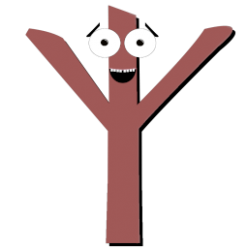 A simple project that uses the dictionary object to store the questions, possible answers and correct expected answer. A sprite object, for each answer, allows to select the answer as a user and displays if the answer was the correct one or not. After a little timer, you are taken to the next question and display it all. The project contains comments that explain how things are working. I’ve made three videos around the subject of making an isometric game with Construct 2. 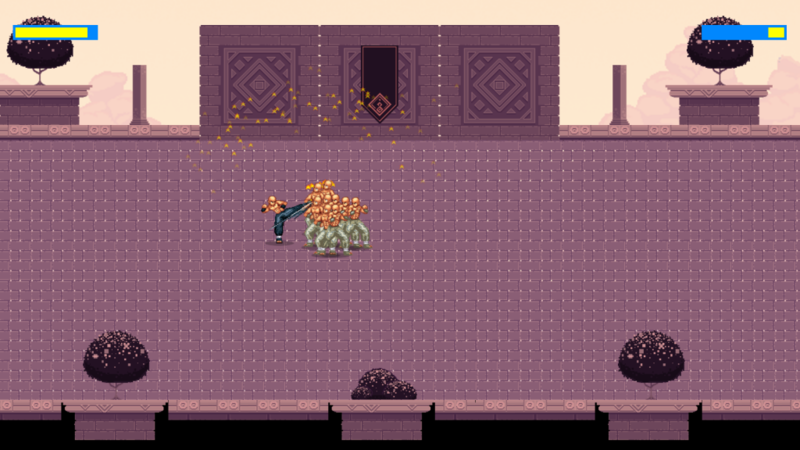 I deal with terrain rendering, making characters move across the terrain and a simple AI for the enemies. Barbaric name which hides a tutorial game which displays how to make cut scenes and fade transitions between screens relying on the execution time (the third dimension of Construct). An inventory system providing a simple “crafting” system, interacting items with each others. Good for adventure (point ‘n click) type of games. For Christmas, I made this small example of an E-Card which can be customized thanks to parameters provided in the URL.